Palestinian musicians from Gaza have issued an eloquent plea to Sir Tom Jones, who supported the South African anti-apartheid movement and recent anti-poverty initiatives, to cancel a planned performance in Tel Aviv in October. “Sing for Freedom and Justice, Not Apartheid and Ethnic Cleansing”, the letter says. See full text below and here. Let’s hope Sir Tom will join Afropop star Salif Keita in cancelling an Israel gig and violinist Nigel Kennedy in denouncing Israeli apartheid. We are a group of Palestinian musicians, academics and students from the besieged Gaza Strip in Palestine. Despite Israel’s blockade of our land, air and sea borders we have continued to enjoy the soul, vibrancy and passion of your songs. Israel has deprived us of our homes, our olive groves, our families and communities, our freedom to travel and even our musical instruments. It is for this, from the crowded streets of Gaza’s refugee camps, we are calling on you to cancel your performance in Tel Aviv, the Sun City of the Middle East, this October. We ask you to honour the global call for boycott, divestment and sanctions against the Israeli apartheid regime, in the same way you and other famous, principled artists refused to entertain apartheid South Africa. After the United Nations approved cultural boycott was imposed on apartheid-ruled South Africa in 1980, you pledged not to perform there again. It is to your credit that you were persuaded “without much difficulty not to go back to South Africa” by the Welsh anti-apartheid movement. It is in this tradition of refusing to entertain apartheid and racist subjugation that we are asking you to heed the call to boycott Israel until they stop denying us Palestinians our most basic human rights. What Israel is imposing on us has been described by the UN Committee on the Elimination of Racial Discrimination as, “tantamount to Apartheid”. Israel has violated more United Nations Resolutions than any other country, and a recent report from the UN Human Rights Council recommended sanctions until Israel adheres to international law. After visiting the West Bank, Archbishop Desmond Tutu stated that Palestinians are “being oppressed more than the apartheid ide­o­logues could ever dream about in South Africa.” After their long experience in the fight against inequality and racism, is it not enough that Archbishop Tutu and other anti-apartheid heroes are calling for a boycott of the Israeli apartheid system? If you perform in Israel, be aware that most of your audience will have served or are serving in the Israeli army. For those of us in Gaza, no matter who we are, we are denied the chance to see you perform by armed Israeli soldiers, Merkava Tanks, Drones, and F16s. We are punished because we belong to this land and hold its identity. Due to these restrictions the vast majority of us have never left the Gaza Strip. The area of Gaza is fifty times smaller than your homeland Wales. Yet our population is half the size, meaning that we are trapped in one of the most densely populated areas on earth. In the horrific and destructive bombings over eight days last November, Israeli forces killed over 170 people (including 33 children) and injured over 1700. Their crime? Being born Palestinian. Can you accept 1.7 million of us in Gaza, over half of whom are children, are being collectively punished in what major Human Rights Organizations call, “the world’s largest open air prison?”. Can you accept that Palestinians make up the largest community of refugees in the world, ethnically cleansed from their land but denied the legal right to return home? Can you accept that Israeli policy included banning the entry of musical instruments, such that so many splendid voices of our young could never be heard by the outside world? In June this year in the agit8 concert you joined the call to end poverty, singing “lord help the poor and needy” and “go help the motherless children.” These are worthy aims, and we ask you to join our call to not entertain the country that systematically inflicts abject poverty on our people in Gaza and routinely makes orphans of our children. The 2005 call for the boycott, divestment and sanctions of Israel is endorsed by the overwhelming majority of Palestinian civil society organizations, and has been heeded by a large number of artists and singers around the world such as Roger Waters, Annie Lennox, Elvis Costello, Stevie Wonder, Vanessa Paradis, The Pixies, Faithless and Carlos Santana. 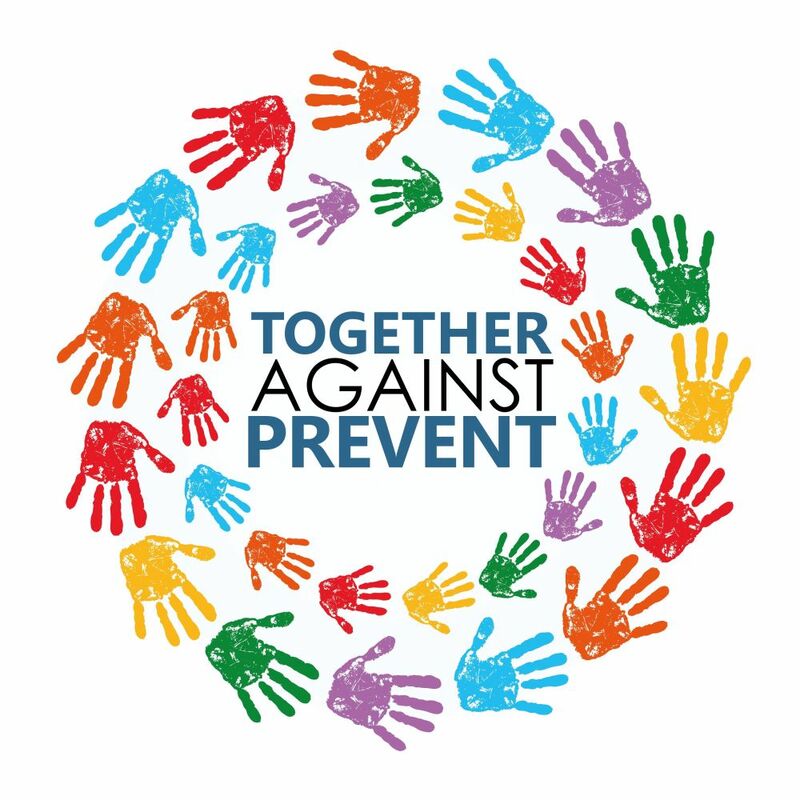 What we are asking for is based on international law, endless United Nations resolutions and an expectation to live with the same basic freedoms as anyone else in the world. We demand an end to Israel’s illegal occupation of Palestinian lands, the return of Palestinian refugees to their homes and full equality granted for Palestinian citizens living inside Israel. This is not utopia; it is a call for equality that has been denied to us since Israel was founded on the ruins of Palestinian refugees. When asked, you drew a line on apartheid South Africa. We ask you now to maintain the pressure already set by an increasing number of musicians refusing to perform in Israel until Palestinians get the same human rights and dignity as anybody else would expect. From the Gaza Ghetto, we ask you to heed the calls for boycott, divestment and sanctions and to cancel your concert this October 26th in Tel Aviv, the Sun City of the Middle East. A letter from Jews for Boycotting Israeli Goods, headlined Nigel Kennedy silenced, appears on page 27 of today’s Daily Telegraph (22 August). It has been published virtually unedited. It appears online among a number of other letters on different subjects. The full text is reproduced below. There is also a write-up by John Bingham, the paper’s religious affairs editor. 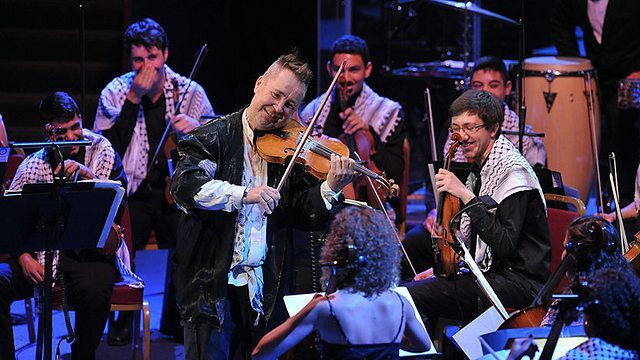 SIR – Some of us were present at the exhilarating celebration of musical artistry of Nigel Kennedy’s Four Seasons Prom, with the Palestine Strings (Ivan Hewett, telegraph.co.uk). We congratulate the BBC for giving young players from the Edward Said Conservatory an all-too-rare opportunity to demonstrate the vitality of Palestinian cultural life, despite all the obstacles they face. It now appears that the BBC intends to censor tomorrow’s broadcast of the concert, redacting a statement by Kennedy in which he hinted at the harsh conditions under which Palestinian musicians live. He said the Prom performance showed that “given equality and getting rid of apartheid gives a beautiful chance for amazing things to happen”. The BBC said these words do not “fall within the editorial remit of the Proms as a classical music festival”. Kennedy responded with a statement condemning an “imperial lack of impartiality”. We note the Jewish Chronicle’s report indicating that the BBC has been subjected to pressure from pro-Israel advocates. As Jewish campaigners for equality, justice and freedom for all in Israel/Palestine, we urge the BBC to acknowledge his comments as an integral part of a performance which was warmly received by an enthusiastic Proms crowd. The BBC owes television viewers the right to see the event uncensored, in its entirety.